Apple fans unite as the world is set to receive iOS 7 with open arms today as first reviews for the iPhone 5s and iPhone 5c hit the street last night. There’s little question for many current iPhone owners, iOS 7 will be a completely different look and the tech world will be on the lookout for the type of reception iOS 7 will receive. As with most iOS updates, the release is expected sometime this afternoon and given past Apple updates…will likely be a little tricky at first thanks to overloaded servers so tread lightly when it drops. That’s not all the Apple news the world is ready for today as the first reviews for the iPhone 5s and iPhone 5c hit the street last night. There’s plenty to talk about and if you’re on the fence I’d gladly recommend taking a read at some of the more detailed reviews like AnandTech where you’ll get a nice mix of the tech-factor and non-biased review. Engadget: Is the 5s the best iPhone ever made? Yes, though that shouldn’t come as a surprise. Apple took a good product and made it better through hardware upgrades, new features and a completely revamped software. In what would otherwise be considered a mundane update to the iPhone 5, Apple somehow managed to appeal to both the geek (64-bit support, M7 coprocessor, Touch ID) and the average Joe (a fresh, colorful iOS 7), all while laying the groundwork for the company’s future…And what if you’re not sold on iOS? If you haven’t seriously considered an iPhone before, there likely isn’t much in the 5s to make you change your mind. For anyone who needs copious amounts of screen space, a 4-inch display likely won’t cut it, but to be fair, the 5s is the best small phone you can get — we can’t think of any other device with a display smaller than 4.5 inches that even comes close. TechCrunch: With the iPhone 5s, Apple once again wins the right to claim the title of best smartphone available. The hardware may resemble its predecessor in many key ways, as with the 4-inch Retina display, but it improves dramatically in areas like the camera where it makes the most difference to every day users, and in the addition of the fingerprint sensor, which is already a feature I miss when I switch back to older generation devices or the iPhone 5c. And thanks to the 64-bit A7 processor, this phone, more than any iPhone before it, is likely to be the device that grows more appealing as the software ecosystem catches up, which is great news for buyers looking for something that isn’t so easily replaced by the next big thing that comes along. AndandTech: (5c)The iPhone 5c is a well built device. For all intents and purposes it is a perfect replacement for the iPhone 5. If you were planning on buying a cost reduced iPhone 5 once the 5s came out, the iPhone 5c should have no problems filling that role. Its performance, battery life and camera quality are all on par with the 5. (5s) The iPhone 5s is quite possibly the biggest S-update we’ve ever seen from Apple. I remember walking out of the venue during Apple’s iPhone 5 launch and being blown away by the level of innovation, at the platform/silicon level, that Apple crammed into the iPhone 5. PocketLint: If you want a phone that just works, then the iPhone 5S is a very good place to start. Apple has made it look effortless which is no simple task, and in doing so – by making it look almost too easy – you can sometimes miss the beauty and power in your hand. It’s stunning to use, there’s stacks of power, it’s without gimmicks and a nod to the future. It’s these simple elements that make the iPhone 5S, for us, one of the best phones on the market. There’s a lot to admire about that. USAToday: Taken in totality, the features new to the iPhone 5s make what I consider to be the best smartphone on the market even better, helped enormously by Apple owning the entire end-to-end experience. In my view, iOS is still simpler to use than Android, and made even simpler in iOS 7. Apple releases the new operating system for all of its phones at one time, while Android updates come to devices in a more scattered fashion. And Apple still claims the most apps. I’m a little more disappointed that Apple stubbornly stuck to a 4-inch Retina display when many Android competitors offer 5-inch displays or larger. Sure, there are trade-offs with larger screens, but since Apple has already bolstered consumer choice with two new iPhones, would a third model have been that much of a stretch? Of that second new model, the iPhone 5c may have a cheap price, relatively speaking, but there is nothing cheap about the phone. Plastic be damned — the phone feels good in the hand. Apple says it is built around a steel frame that doubles as an antenna. And, yes, the color designs — my test unit is blue — look cool, too, complemented by matching wallpaper. I guess there’s always the option to not read it and choose to read about what interests you, no? There seems to be plenty of news about other devices on here. And next week belongs to galaxy gear and note 3 right? …and then the comparisons and flame wars begin! The excitement for new iPhones causes other Manufacturers to create products to compete with the winner(iPhone). Some mobiles are released and don’t gain excitement enough to yawn. Yes, I am a Note2-fan and don’t own a iPhone. Think differently, and you’ll understand how the iPhone plays in your favor as a consumer. You’re right, that’s why it will outsell every other phone on the market and why the iPhone 5 has been T-Mobile’s best seller since they got it. That’s actually not true. I work for TMobile. The iPhone 5 sold quite well. However our best selling phone this year has been the galaxy as 4. We sold about 250,000 iphones after launch. We sold more than that in a month with the S4. Wasn’t the iPhone 5 released on Tmobile months after it was released everywhere else? Maybe (and this is just a hunch) a device sells better when it is available at its worldwide launch, rather than a few months after. 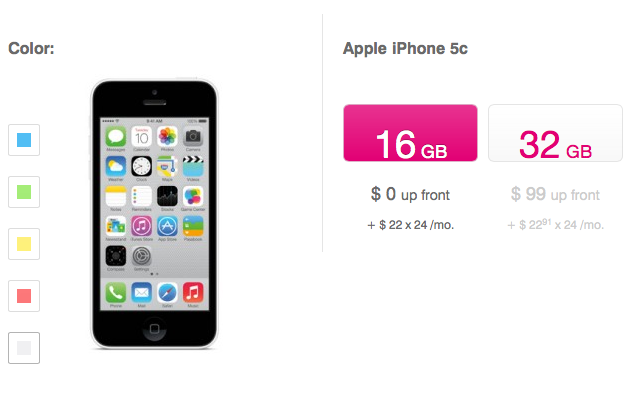 Um no, actually the S4 out sells the Iphone at T-Mobile. I work for T-Mobile as well. I wouldn’t be 100% certain of that, there were some statistics released a while back in early August and I believe it showed the iPhone 5 outselling the GS4. much better than getting nothing at all like the past 6 years. I think these reviewers are paid off. I’m an iPhone man and know iPhone is not making a great impact. In fact, their stocks have been falling and I don’t think these two addition iPhones going to help it much. LOL!! !” the old,”duuuuuuude like they MUST BE PAID OFF!” conspiracy theory. “. So many flaws in the logic to this claim its not even funny not to mention 0 evidence of this. What you are an iPhone jockey? You are clueless if you don’t think there are paid shills out there. Samsung got in trouble earlier this year and Microsoft is well known to pay people to shill and spam forums and image boards. We are talking about THE REVIEWS DAVID POSTED HERE. Let’s try and stay on topic. Got any EVIDENCE to support these people being paid off? What a story that would be! TO BUST APPLE TRYING TO PAY OFF LEGITIMATE TECH BLOGGERS?!?!?! They would TURN AROUND AND BURN APPLE IN A HEARTBEAT to have the BIGGEST STORY OF THE YEAR! As a long time Android user my apologies to the iPhone fans on this forum who have to read the BS posted by losers who have such little in life that they have to feel better about themselves by taking shots at an inanimate object. But they can’t talk back! It’s a sure-fire way to win an arguement!! Ya no doubt! You really truly have to take a moment to evaluate your mental grip on reality if a PHONE ANGERS YOU! Ok OK so if one argues that Apple is a horrible company or whatever…THAN DON’T BUY THEIR PRODUCTS! If you don’t have the phone how can it make you angry?! You not missing nothing. My personal opinion it’s not all that. I’m changing back to the old version if I can. I’m an Android fan, and I know there are iPhone fans as well, but I try to be fair when it comes to an article like this. I have to say that the iOS7 does look very nice. I feel like they went back to the drawing board and come up with a nice interface. It’s better than the “beaten like a dad horse” previous iOS’, and 7 looks like they wanted to make something that looked new. I’m not totally impressed with the new hardware or featuers-I don’t have a need for a finger print scanner. That’s just me. I don’t see Apple pushing the mobile market like it had done with the first version, but it has it’s loyal users-I am loyal to myself and Android phones-who really like their phone. That’s fair to say, and there’s nothing wrong with liking the iPhone. They certainly do make a good phone. Good for you little girl! Seems this guy types in a colorful way when it comes to Apple. These phones are more of the same, 64bit processor with 1GB of ram? Where is that gonna improve anything? Oh yeah, techcrunch said Apple can claim they have the best smartphone because thay added colors! LOL. Gold, here comes David. I updated my iPad to iOS 7. What a disappointment. I was hoping to upgrade from an SGS2 to an iPhone 5S. My deal breaker was because Apple has still made no change to their outdated keyboard. No third party Swype. I use my smart phone as work horse while traveling and need to work on it. There is not much I can do typing with 2 fingers on an iPad compared to a faster finger operation on my SGS2. SGS4, here I come! I seem to be having signal strength issues since upgrading to iOS7 on T-Mobile network. Not getting same “bars” as before, getting a lot of drop calls and being pushed on EDGE when I was on 4G on iOS6. Anyone having similar experiences? Los Angeles service area.